After graduating from Syracuse University in 1964, a young Lou Reed took a songwriting job for a label that mass-produced pop tunes and released them under fictitious band names. As a sort of assembly line songwriter, he would be asked to write ten surf songs, ten Detroit songs or whatever else was the latest trend. In Lou Reed: A Life, Anthony DeCurtis relates how this rock and roll sweatshop was the birthplace of one of the most influential bands in rock history. One particular morning, after having read a news article about ostrich feathers being in vogue, Reed wrote a song called “The Ostrich.” The song, credited to The Primitives, purported to be the start of a new dance craze, ie: “Do the Ostrich!” It became a hit, and the nonexistent band was invited to play it on a TV dance show. Reed was tapped as both vocalist and guitarist in the group that the label hastily assembled for the gig, which also included a young, Welsh, avant-garde musician by the name of John Cale. Lou Reed and John Cale, seemingly disparate in their musical tastes, found common ground in their aspirations, and they further bonded in their drug use (Reed introduced Cale to heroin). They jammed at Cale’s Lower East Side apartment, and they busked in Harlem together, Reed on guitar and Cale on viola. With the addition of Sterling Morrison and Maureen Tucker, the Velvet Underground was formed. DeCurtis, a contributing editor for Rolling Stone, has long considered himself a friend of Reed’s, and he followed the artist’s career closely. Lou Reed: A Life is a thoughtful narrative in which the author paints a portrait of Reed that speaks both to his assets and his defects of character. As someone who knew Reed well, DeCurtis brings often simple yet profound commentary. DeCurtis discusses Reed’s rejection of gender orthodoxy and his proclivity for picking up transvestite hustlers in New York’s after hours bars, as well as his long-term relationship with Rachel, the mysterious transexual male who, in the seventies, was Reed’s live-in lover for three to four years and to whom Reed dedicated his 1976 album, Coney Island Baby. The author also delves into Reed’s drug and alcohol use, which was so extreme that, around the time that Transformer was released, an English magazine poll deemed him the second most likely rock star to die prematurely. Keith Richards, of course, took the top slot. During the 1980s, Lou Reed’s life and music took a turn when he stopped drinking and using drugs. Albums of this period like New Sensations and Magic and Loss betray a positivity and empathy largely absent on his previous work (with the exception of the song “Coney Island Baby”), and Reed’s focus was outward, on individuals whom he had loved and lost. Reed also became political – most notably on his 1989 album New York, widely regarded as his best solo effort. 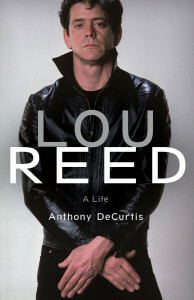 DeCurtis addresses the cruelty and contrariness that marked Lou Reed’s personality throughout his career, but he also sheds light on the man’s tenderness and his more spiritual tendencies which included a decades-long tai chi practice and the meditation practice he shared with his third wife, avant-garde composer Laurie Anderson. 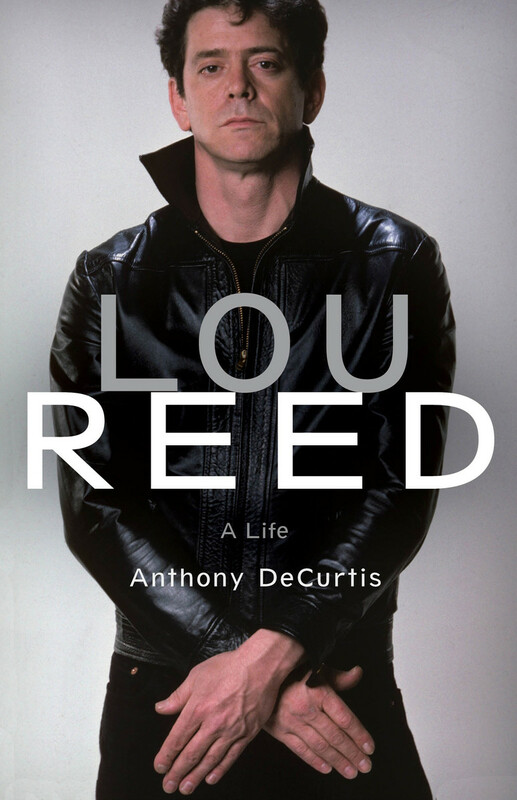 In Lou Reed: A Life, DeCurtis succeeds in bringing to the fore the dichotomy that was Lou Reed – equal parts ferocity and vulnerability.